High blood sugar symptoms really all come down to how long your blood sugar levels have been high, how high, AND the individual. Some people may experience several symptoms with borderline high blood sugar, while some may have no symptoms while their blood sugar is in the 300’s. In general, the more in tune you are with your body, the more you’ll start to recognize high blood sugar levels with type 2 diabetes, although sometimes, it can just sneak up on you. Increased thirst. You will tend to be thirstier than normal and you may even crave fluids. Increased urination. You will tend to feel the urge to urinate more often than normal. 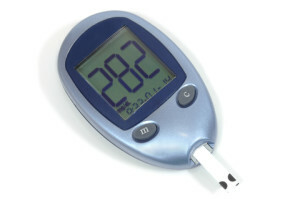 This is because of the high blood sugar concentration in your blood and kidneys. Weight loss. You may experience weight loss without being involved in any weight loss activities. The weight loss will be noticeable and is usually due to insulin resistance and your cells being starved of the energy they need while your blood sugar remains elevated. Fatigue. This is a common one. A feeling of low energy level and lethargic, and feeling tired all the time. Increased appetite. Sometimes a sign of high blood sugar is that you will have a bigger appetite than normal. Often times you’ll still be hungry after just finishing a meal. Dehydration. Dehydration in cases of diabetes can manifest through symptoms such as dry mouth, warmth feeling, and dry skin. Blurred vision. This is when you develop difficulties in seeing things clearly. You may wake up to blurred vision or start to notice things in your line of vision don’t appear as clear as normal. Extreme thirst. This is where a person requires a considerable amount of fluids to quench their thirst. This is less subtle than just increased thirst and you are VERY thirsty. Flushed skin. The skin turns out to be hot and dry, while flushed (red) at the same time. Restlessness. An increased restlessness due to the high blood sugar level, which makes the body feel uncomfortable. Your body feels off or as if you’re about to come down with something. Drowsiness. You will feel very drowsy and sleepy even if you’ve gotten enough sleep. Rapid and deep breathing – an overall faster rate of breathing than normal. Fast heart rate accompanied by weak pulse rate. Production of strong odor that is fruity accompanied by bad breath. Loss of appetite where an individual fails to eat or skips meals. Vomiting, especially after trying to eat a meal. Numbness or tingling in the extremities (legs, hands, feet). In cases where blood sugar levels go exceedingly high an individual may become unconscious. Sometimes it can be a challenge to identify some of these symptoms as high blood sugar symptoms. If you are experiencing any of these symptoms or have in the past it is important to recognize them. Then you’ll want to test your blood sugar. If your blood sugar is high then you’ll want to take the appropriate actions and seek medical attention as soon as possible. High blood sugar should never be taken lightly.